Elsa and Anna want to know how it is to be bad. Can you help them to achieve that through outfits? Sometimes girls think of crazy things and today two sisters are up to it. 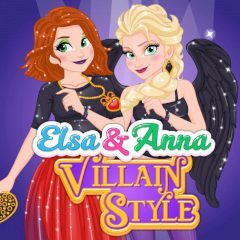 Help Elsa and Anna to change their outfits on villains costumes and take a picture.